If you want to host a Chinese New Year’s party, you’ll find plenty of tips and how-to’s online about what dishes to serve, what decorations to use, different Spring Festival greetings to use, how to accumulate enough fireworks to start your own militia, and more. 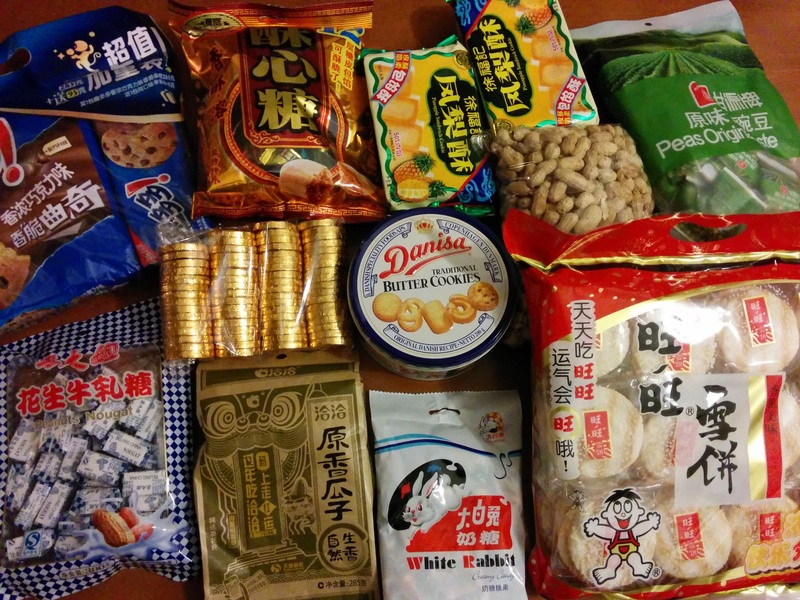 But, there’s not much about a key part of any Chinese New Year’s celebration: snacks. 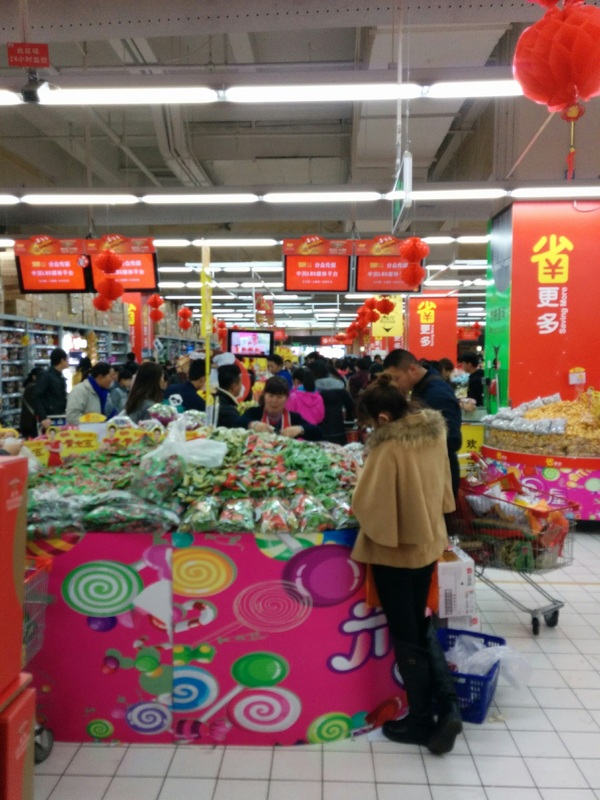 For CNY, people are visiting and being visited for (traditionally) two weeks. After the main celebration, it’s essentially one long open house with people popping in for an hour or two for the Chun Jie visit. That means a whole lot of relatives and friends sitting around a coffee table, vaguely watching cross-talk comedy routines on TV, pretending to chat with the other guests whom they might not know well. The host needs to serve them something, and they’re not going to prepare a meal for every Zhou that walks through the door. Additionally, the guests need to bring a gift when they come calling, and it needs to be something that is practical and appreciated by the host. Snacks give the host something to serve, the guests something to bring, and everyone something to do with their hands and mouths should conversation lag. Normally the bulk snack section, where you can bag up whatever kind of thing you’d like and take it to be weighed, is pretty serene. The employees there are standing around, leisurely raking their fingers through bins of hard candies, or yawning while they weigh your stash of M&M tetrahedrons. Apparently, they earn their right to lounge the rest of the year by working their tails off the week before New Year’s. 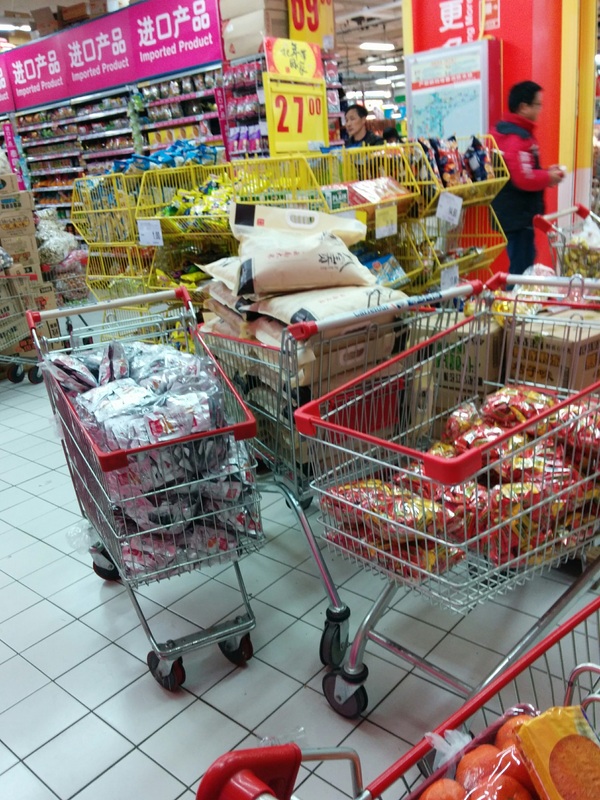 Yesterday, there was a constant flow of employees rushing with carts full of snacks from the back room to restock bins and shelves. 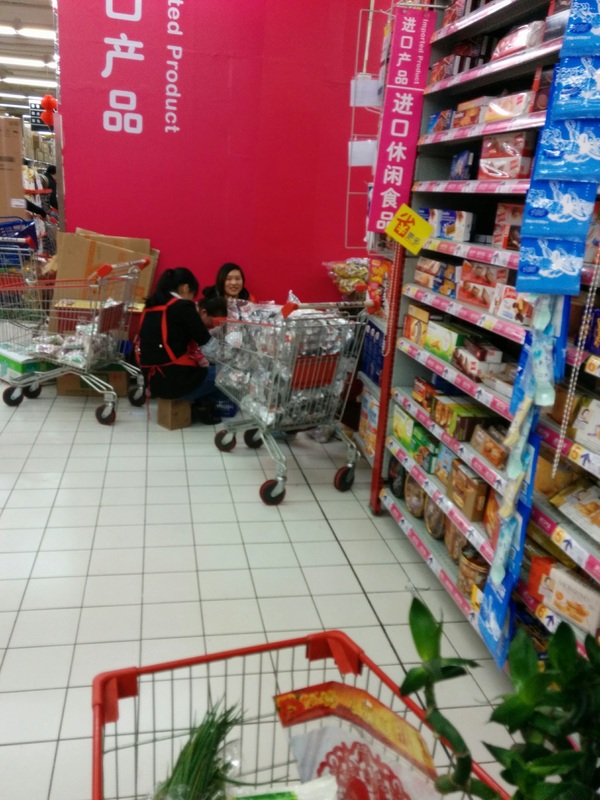 To keep up with customer demand, other employees were frenetically bagging up snacks anywhere they could find room. I’m glad I have experience with being in Chinese crowds or I might have lost a limb. 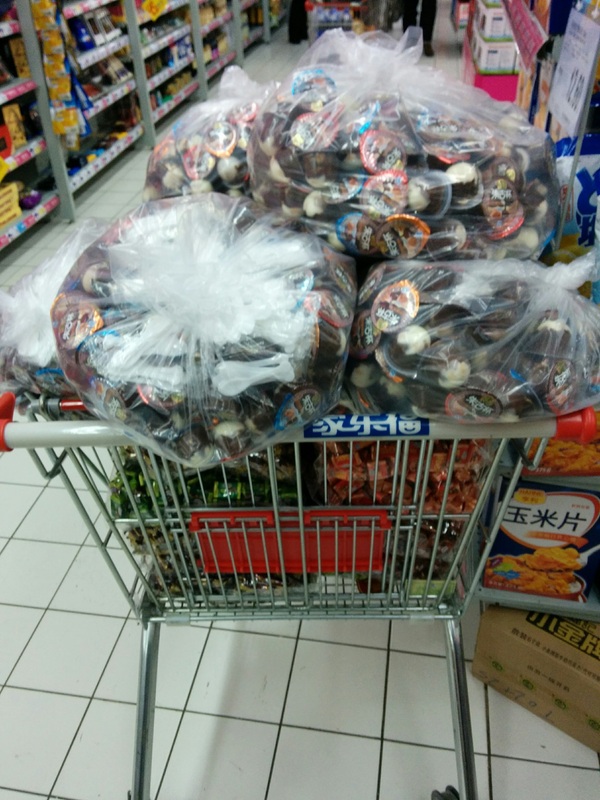 Anyway, snacksǃ Snacks are the key.There is an enormous variety to the snackage of Spring Festival. I’m saying “snacks” but it’s just the best cover term I can think of for all these different kinds of lovely edibles. If you’re hosting, be sure to have some from every category. If you’re guesting, take a giant bag or gift box of what sounds good to you, because in all likelihood, it will get served to you. China has a long, deep, loving relationship with using nuts and seeds to pass time during social events like banquets and karaoke, and the love extends to New Year’s, too. 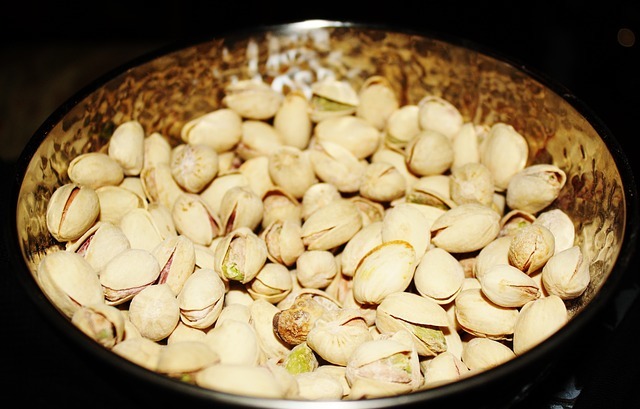 Sunflower seeds, pistachios, and peanuts (all still in shell) seem to be winners during New Year’s, probably because they can be cracked with teeth and/or hands. That means you can bring them as a gift without worrying whether your host has a nutcracker or not. In some parts of China, you must have watermelon seeds in your “Tray of Togetherness” (aka New Year Candy Box) which also includes candied fruits. 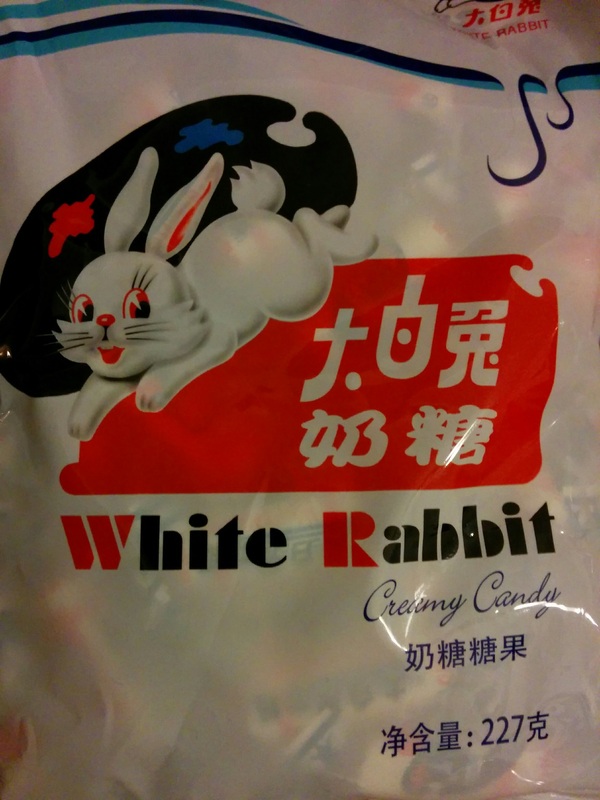 White Rabbit – It’s practically a law that you need to have these jaw-breaking, theoretically chewy milk candies at Chun Jie. They’ll probably unearth a big bowl of these in Xi’an some day, proving that they have always been an integral part of Chinese culture. 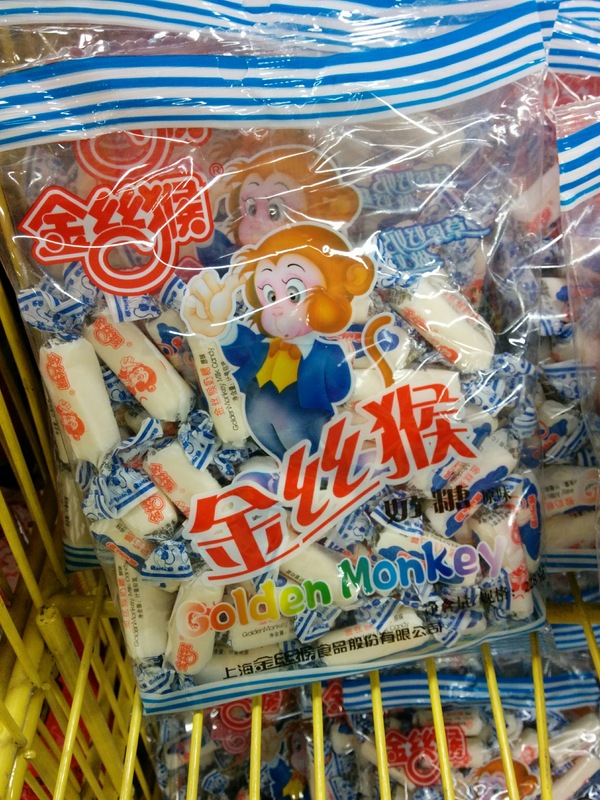 Golden Monkey – Knock-off rival of White Rabbit. Actually stands a chance of showing up in a lot of homes this year because this is the start of Year of the Monkey. Chocolate Gold Coins – Another must have. You buy them for the fun, not for the sub-par chocolate. Pretty much anything manufactured by Xu Fu Ji (Or Fu Xu Ji? How do you read this??) – If you see this logo, you’re golden. But not like the coins. 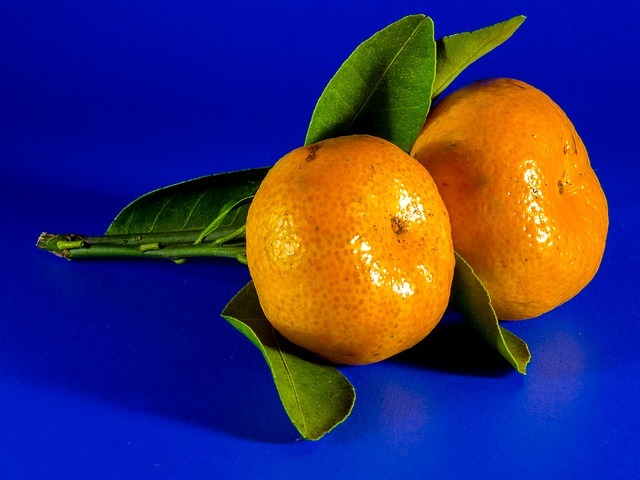 Mandarin oranges are the darling of snacking fruit for Spring Festival. Not only are they in season, easy to peel, and delicious, they also carry symbolic value. Bringing gift boxes of fresh fruit has always been common, though as folks get more and more money, the fruit is getting more and more exotic. Now imported cherries, grapes, kiwis, and avocados are available in gift boxes to bring to your loved ones. Wowsa. I kind of want to see the reaction of a village granny receiving a box of avocados from a well-meaning relative. It will not end in guacamole, I can guarantee that. Say it with a British accent and don’t imagine things that go with gravy. 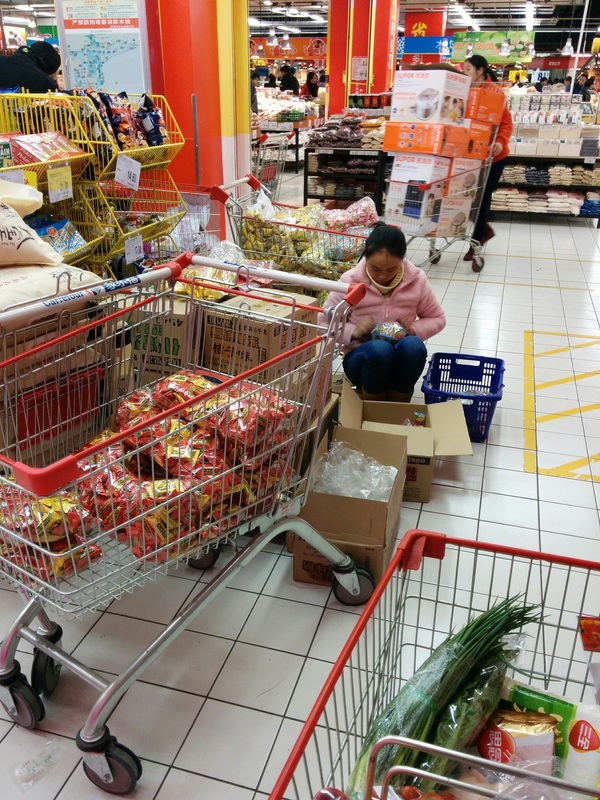 During New Year’s, you can give giant gift tins of things like Oreos, and you can also buy giant packs of individually wrapped things like Wang Wang rice crackers, which are probably made of sawdust and crack. Yes, I will have another, thanks. 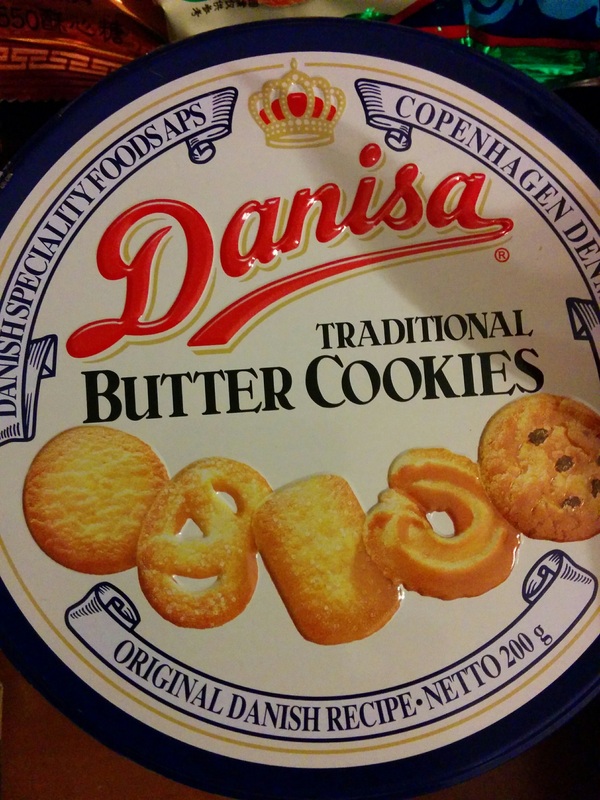 Winner in this category is Danish butter cookies. I love these things (yes, I will have another, thanks) but I’m not sure why exactly they are more appealing to Chinese consumers than any of the other cookies available. Don’t like nuts, seeds, cookies, crackers, or fruit? You’re in luck! There are a gazillion other things to choose from. Cakey things like Swiss rolls and Orion pies. 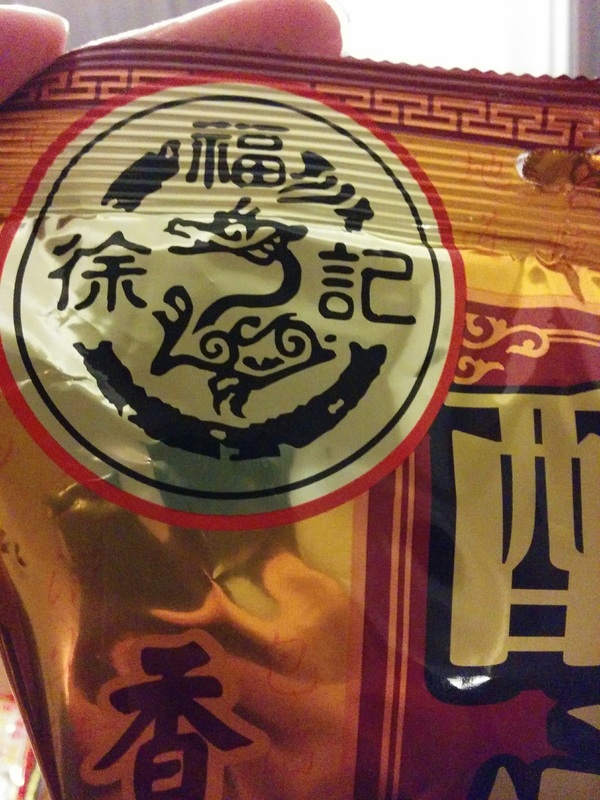 Spicy things like dried tofu and chicken claws. Savory things like fried peas and meat pellets. All in tiny, individually wrapped packages for convenient snacking. It’s quite impressive. So, now you’re prepared. At least mentally. If you don’t have your stash of snacks ready, you’d better get a move on. Everything’s closing down soon for Spring Festival. Here’s wishing you all a Year of the Monkey filled with family, friends, joy, and peace. And lots and lots of snacks. Thank you for the memory. I’m now back in the States. Reading this and seeing the pictures brought back pleasant memories of my time in China. You’re welcome, Jadaǃ I hope you can find a fun way to celebrate Chun Jie even in the States. Aw, I’m so glad my posts can take you back, even if it’s not quite the same as being here. Happy New Yearǃ I’ll have some White Rabbit in your honor. Oh my gosh, the visualization of the grandma and the avocados! And I have to confess I’m susceptible to the sawdust and crack myself. But most Chinese snacks don’t tempt me. It’s our first CNY away from our usual friends and I’m a bit homesick but also not missing the copious amounts of chocolate and Yakult (gag) my kids would usually be consuming. Great post! You captured this aspect of culture really well. This is especially applicable in small towns, but in migrant parts of big cities, there’s little visiting! I’m kind of sad we’ve missed out on this part of culture and have only heard through our expat friends visiting small towns during chun jie. We’ll get our chance once our kids are a tad older! You are a great descriptive writer! I visited China in summer 2014 as my son was teaching English in the northeast part for two years. I loved the experience, and even though I was only there for three weeks, much of what you write about is familiar. Thanks for a great blog.